Every culture has their own version of the classic wedding ceremony, deeply rooted with history and tradition, not to mention the trends of the times. Thailand is by no means any exception. These days, with the influence of merging cultures, it’s hard to know exactly what’s what. 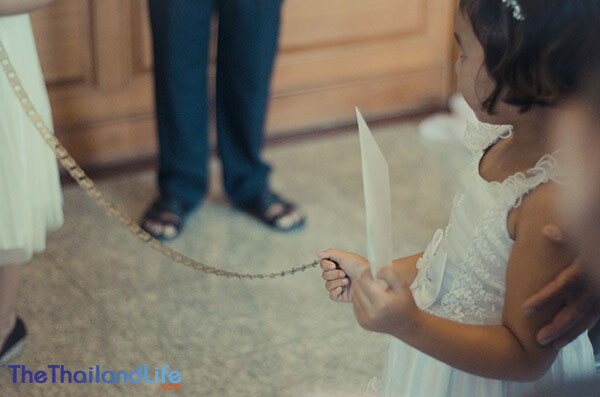 In this article I hope to shed a little light on how a Thai wedding actually goes down. So, if you’re marrying a Thai or you’re just looking to broaden your worldly perspective, here’s how it’s done. Note: Please bear in mind that these pictures are from my own wedding and we are not wearing the traditional dress. We also held our wedding in a hotel, as opposed to the family home. However, where possible, I have used pictures that support each traditional aspect. Not so long ago it was common for Thais, especially in families from higher society, to arrange their children’s marriages. Even if it were not an arranged marriage, it was very important the parents of the bride and groom be consulted. If the groom’s parents agree with their son’s choice of wife, it would be the parents who go forth to the bride’s parents to ask for their son to marry their daughter. The bride’s parents would then negotiate the ‘Sin sod'. Westerners would call this a dowry. 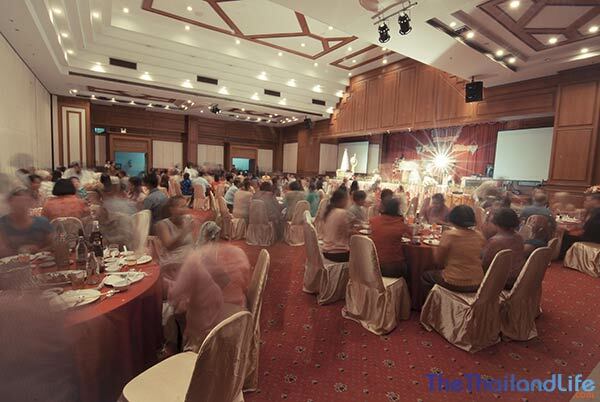 Thais believe that there are favourable dates and times for planning significant and important events. A special and important monk with knowledge of astrology is consulted to help decide what date would be best for the union in order to be blessed and the marriage to be strong. 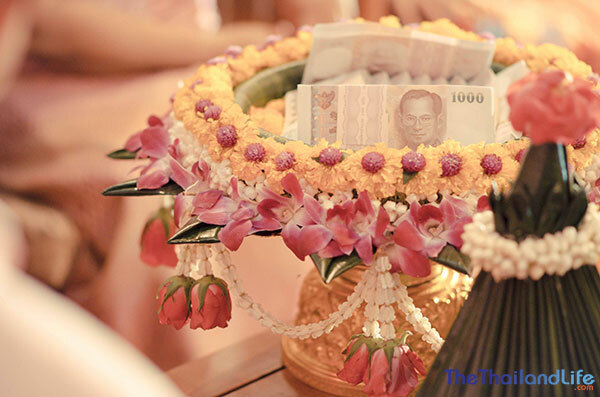 Since there are often multiple ceremonies involved with the Thai / Buddhist wedding, there may be a separate invite of each event – however, it is commonplace for everything to happen on the same day. Most often, one invitation will suffice. Traditionally, the invitation would be hand delivered by a member of the adjoining families. 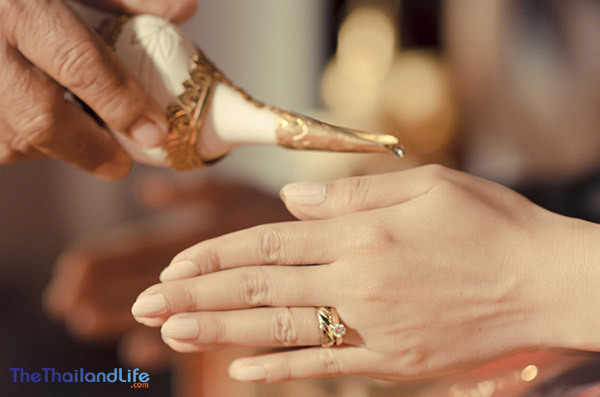 Most often, before any important event or holiday, a Buddhist will “make merit” to call good things into one’s life. There are numerous ways to “make merit,” such as the release of a captive animal or donating money to a temple, but usually, for a wedding, the family will invite monks to bless the bride and groom as well as their home. The monks will chant, as well as offer life lessons, and in return the family will feed them before sending them on their way. This ceremony may be treated as a separate event entirely. It could happen days before the actual wedding. These days it will often become part of the wedding day’s happenings. If the merit ceremony happens on a different day than the wedding, the couple will still likely wake early to meet a monk for a quick blessing. Though it has become common for modern couples to wear the typical western style white dress and suit, the Thai classic attire is still widely used. The traditional bridal dress can vary a bit with about six different styles of outfit. The men will usually wear the Thai traditional pants but will sometimes switch out the traditional Thai top for a western style suit jacket and tie, though usually still made from silk. As in wedding parties all over the world, the bride and groom will choose any number of Bridesmaids and Groomsmen that they like. However, it is rare to see a best man or matron of honour. Their duties will very depending on the needs of the couple. 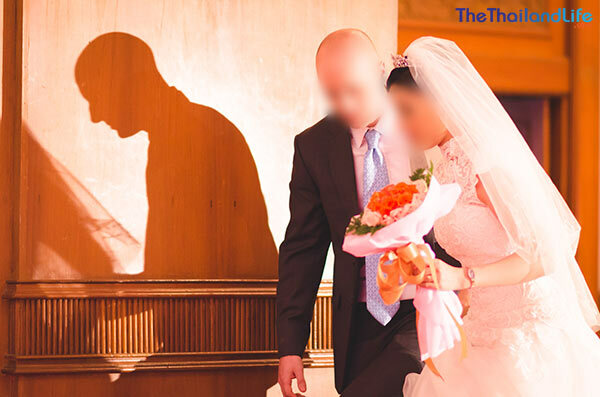 Having reached an agreement for the Sin Sod (dowry), the groom can now go to claim his bride. In past times the groom would travel on foot from his home to his bride’s home, accompanied by a procession of his family, friends, and other well-wishers. The groom’s paraders would carry offerings for the bride’s family. On their way, they would sing songs, play instruments, such as traditional Thai long drums, and basically have a traveling party. The offerings they carry all have very specific meanings. 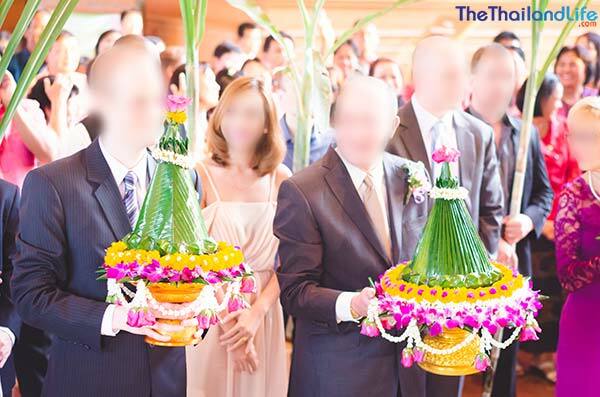 For Thais, it is quite common nowadays for the engagement to take place on the same day as the wedding. In many Thai-foreigner relationships the engagement often follows the western tradition of being a romantic one-on-one occasion that is then announced to others afterwards. We had an informal engagement, not a traditional one. The procession was held in the hotel and we walked to the wedding hall. The lobby was fairly big so it felt quite authentic. You’d usually find gold or coins, flowers and the leaves and nuts of a young Betel plant arranged on the Kan Maak tray. The meanings of the items range from health and prosperity to fertility and long life. Additionally, the traveling guests will also carry various foods such as fruits and desserts. In modern times, the procession is likely to just start down the street and end at the wedding venue, which will be a house or, more frequently in modern times, a hotel. When our groom finally makes it to his destination, he still has another challenge to face. His way will be blocked by a series of gates held up by the bride’s maids and various family members. The gates are commonly made from a necklace or belt made of gold. Some of these gates can be passed simply by a payout of money, whereas others will ask the groom to answer questions, or he may even be required to perform any number of what may be a somewhat humbling task such as, yell out a profession of his love or sing a song. Children from the immediate family manned the gates. I gave an envelope with a small monetary gift inside to each so I could pass through. After satisfying all his tasks, the groom may now enter to find his bride. Commonly, the bride will be waiting in a room separated from the guests. When the groom is waiting inside, the bride’s parents will bring out their daughter from behind closed doors and present her to the husband to be. My wife to be waited in a separate room for me to collect her and bring her to the wedding stage. This was the most emotional part of the wedding for me. Having retrieved his bride. it is now time to present the bride’s parents with the Sin sod. A tray where all the gifts and money are resting is offered. After the gifts are accepted the items will be wrapped in silk and handed to the mother of the bride. As tradition dictates, and to display how generous the groom is, the bride’s mother will make a show of carrying the heavy loaded package as if it’s extremely heavy. Our Sin Sod presented in a decorative bowl. There was also two items of gold jewellery. We now arrive at what some would consider the most heartfelt portion of the wedding. The bride and groom must sit or kneel next to each other. Their arms will rest on a small padded table and their hands must be held together in prayer position. An elder member of the family – who is considered to have a successful marriage – will place the traditional headpiece called Mong Kol on the head of both the bride and groom. This string headpiece, previously blessed by monks, must be made out of one piece of cotton and will join the couple during the rest of the ceremony, and symbolically for the rest of their lives. The Sai Monkhon: We are joined by a thread by my father. With the bride and groom seated next to each other (bride on the left,) and joined by the Sai Monkhon thread, the guest will begin to line up to have a turn with the couple. The two hold the their hands close together as their most honoured guests use a special shell, usually taken from the sea, to pour water over the uniting pair. It is customary for the person, while pouring the water, to wish the couple well and give advice on having a good life together. My wife having water poured on here hands during the Rod Nam Sang. After all of the guests have had a chance to pour the water and wish the couple well, it’s common to invite them to eat and mingle. This part of the ceremony can range from a simple gathering at a table to a full on party with dancing and games. The reception where everyone enjoyed food and drink. It is here in this part of the ceremony that you may find a more western influence, but the Thai still have their own ways of doing things. Usually, one or two friends of the bride and groom will be chosen as the master of ceremonies for the evening. It’s this MC’s job to host the events, games, videos and of course, introduce the newlyweds. Family members and friends are invited up to speak about the bride and/or groom. The couple may even have to take part in a game show style quiz. As in western weddings, it is quite common to see a cake cutting and bouquet toss these days too. Of course there had to be some karaoke! Perhaps the final thing to happen on the wedding day will happen in the bedroom, but it’s not quite what you may think. The bride and groom will be escorted to the bedroom where an older married couple will present them with an array of items to demonstrate the path to a successful marriage. The bed will likely be covered in flower petals as well as a brass tray of traditional symbols. The most common items on the tray include a bag of beans or seeds to show prosperity, a bowl of water to symbolise harmony, a mortar to represent solid love, an unripe squash to bring a happy marriage, the figure of a sleeping cat to show the want to be comfortable at home, a rooster to promote waking up early, and finally a cane as a symbol of long life. Tradition says the couple should sleep with these items in the bed for three days, though that rarely happens anymore. On most occasions, it will be the parents that prepare the bed and explain the symbols, and once they’ve completed the lessons, they will leave the newly married couple alone in the bed to show the desire for children. This part of the ceremony is pretty rare these days and wasn't part of our wedding. I hope you now have a better understanding of the traditional Thai wedding ceremony. Please note that these are just the most common and recognisable practices. Thailand is a large country with many regional influences that affect the way engagements and weddings are conducted. 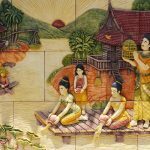 For example, the northern and southern parts of the country may conduct certain parts quite differently; you can also expect differences among the ethnic Thai-Chinese community, not to mention all the modern storybook ideals thrown in the mix too. While most foreigners marrying in Thailand will experience many of the same traditions, tailored weddings that represent both the bride and groom’s cultures are becoming increasingly common. So feel free to assert your own input and get fun and creative. I wish you all the best with your Thai wedding. Question; I’ve read in some instances during an engagement that family members bind the hands of the bride and groom to be. With white cotton string.Is this accurate? You might be referring to the Sai Monkhon (pictured in the post), which joins the couple. But it's placed on the head not the hands. What about registration? Do we have to register before or after the event? Is it also possible to register in our own country? You can do it before or after. And it depends on the rules of your country. Some countries recognise Thai marriages and do not require you to register the marriage, others may not recogise a Thai marriage or may simply require you to file a translated certificate. Congratulations to you both and I wish the very best of everything for you. Our treasured 'Mong Kol' is still in my wardrobe. We had a Mor Soot but also 9 Buddhist Monks who did the chanting and held the ends of the string that went all the way around the house. I hope that you have a deliriously happy life together. I live in the USA and have a wedding coming up in January. I was planning on making my own phuang malai to wear but I just cannot find a place that will ship them here! Any chance you know of a place that can do this? I'd also like to find or learn how to make a mong kol. Did this get a response behind the scenes? Thank you very mich for this! I’ve recently seen pictures of a friend getting married in thailand. I was curious of the custom there. Now I can understand the pictures a little more. Thank you! No worries. Glad you were able to get a little insight to the way a wedding works in Thailand. I know about the sin sod but you did not say who is supposed to pay for the wedding. It can be an expensive affair at times. The man, generally. In some cases, both sets of parents may contribute to costs; depending on their financial situation. thank you very much, i learn a lot of knowledge form this page. Our poetry dance group will be going to Royal banquet with others in the poetry convention. What is,appropriate men/women's wear to this formal dinner? Tough one. If there isn't a stated dress code, I'd say Ladies: nice evening dress/frock. Don't feel restricted to black; it's a colourful country and beauty is appreciated. Men: suit or tuxedo. Cheers Carmel. I'm glad you found it interesting. Thanks 🙏 for all the information. I learned so much. I may gain a daughter from Thailand (I hope) 😀. I am a Romantic at heart ❤️. I loved this culture& feel I can truly embrace , with confidence. I have been married 35 years in July. 💕🐯💍👰🤵🐼😅💐. 🐈🐯🐱🐅💕. Best regards⛪️🥂🎂. You are incorrect when you say general things like "Thais believe ____". Thais are not a unified body. Thailand, like any country, is divided in many ways. There is an ultra rich boss class, a huge bureaucracy, a small business class, an impoverished working class, and a dirt poor peasantry. There are also millions of people belonging to ethnic groups other than Thai, especially true since most of the lands that make up today's Thailand previously belonged to other empires.Alongside the Thais, Thailand is home to Khmer, Shan, Jarai, Karen, Kachin, Lisu, Lahu, Mon, Malay, Wu, Yuon and many more. On top of that, there are many Christians, Muslims and Animists.Believe it or not, there are even some modern secular people in Thailand, but you might not know it since they're forbidden by law to express the ideas that have been common in developed countries for centuries. If you're lucky to meet one of them, and they have been able to break free from reactionary superstitions and the tight grip of an overbearing and exploitative family, you won't even have to go through any of this primitive nonsense if you want to get married! Absolutely, and if you read the post you would have read that I point out that things are done differently by different people, depending on their class and the part of the country that they live in. Moreover, this overview of my own wedding demonstrates how in many cases people move away from tradition and borrow from other cultures and traditions. Our wedding was a mix of Thai traditions and English traditions; it was held in a hotel and not at home, we did not have a traditional engagement, and we did not have any monks involved. That said, every wedding I have been to in Thailand has included a number of common traditions. So while there are variations you will often see many similarities. But as I also point out, you should decide on the wedding that you both want and do as you see fit. I thank you for your clear 14 stages of marriage We will be having a Thai wedding. Not knowing what to do or what happens was very stressing. Many videos and other texts sites were all over the place causing greater confusion. Once again I thank youReference the Engagement: I have learned: in Western culture we give a nice Diamond ring however in Thai culture I have learned that a 2 baht 23/24 carot gold (30.5 grams) necklace is given as the engagement gift.once again: thank you for providing clear stage guide lines. You can give less than 2 Baht. 1 Baht would be fine, or less. Cut according to your budget. Don't overstretch yourself. Hi, great article and wedding story. With regard to the "informal engagement", does this refer to having it on the same day of the wedding ceremony? Or an adaption of the same day engagement ceremony?We are planning our wedding based on a blend of Thai/Western. So I did considering removing the engagement ceremony as we're already engaged.However, considering my future wife is Thai, I'm assuming this would not be a good idea culturally. Plus it would affect the flow of the wedding process.Noting we are both without parents and she is not traditional / conservative. Your thoughts? By "informal engagement" I meant just one between us. It was just a standard western proposal when we were visiting the UK. We did not have a Thai engagement. If you are engaged then removing that aspect of the marriage makes sense. My wife isn't bound by tradition in that regard but did certain traditional aspects to please her mum, dad and their friends. It wouldn't affect the flow of the wedding: because if the engagement is done on the same day, it is done separately and generally in the morning. I seem to be negotiating with the soon to be missus. She said if I marry her within 6 months she told Papa can marry for free!!! I said no, I no have money big big, I pay 100,000 baht plus gold, now she wants 9 baht gold same same sister. I'll let you know what happens as the January 'meet the parent' milestone arrives. What happens in the case if a professional divorced Thai lady with 3 grown up children and her own business but her parents are deceased? Is a dowry still expected and if so how much, in what form (gold/cash) and who would receive it? It depends. Did they die when she was a child? If so, who brought her up? The sin sod would be in respect of whoever raised her. If her parents died when she was an adult, it would not be applicable. That said, it may form a part of the ceremony out of respect for her parents and tradition, though the money would be returned to you. Hi there, my son is marrying a Thai girl next month, and I was concerned that this sinsod was a rip off, but reading your posts has made me feel a bit better. She is not highly educated, I'm assuming high school, never married, no children and they (he) are spending 500,000 on the wedding and sinsod combined, (he borrowed the $ from his grandma, we are middle class people, far from wealthy) he also bought her a $1400 ring & $800 cell phone. She is from a village in Kalasin, so very traditional still. What is an appropriate amount to give each monk after the morning ceremony? and should we be bringing gifts for the parents/brother? (I bought the bride to be a bracelet) I thank you in advance for any advise. Hi Denise,You are right to have your reservations. Unfortunately, in some cases where foreigners are concerned, the tradition is being exploited as a way to get as much money as possible. In the more uneducated circles of society, white foreigners are generally perceived as wealthy. Those with a narrow view of the world have no idea what it costs to live in the West and that we too have big wealth divides in our countries.Regardless of one's wealth, I think it is important to establish boundaries and be firm from the outset about what you are prepared to spend/give. I've seen many relationships go bad because in the beginning the foreign party is splashing the cash, so to speak, and this is then expected indefinitely going forward. Ultimately this causes problems in the relationship later down the line as the financial responsibility is all one-sided, with multiple parties expecting support.Anyway, to answer your questions:Strictly speaking, monks aren't supposed to receive money. Historically people were encouraged to give food or other living essentials. Any money is supposed to be deposited in a donation box in a temple and not in a monk's hand. However, in modern times money has become increasingly common, to the point where it is expected.I consulted my wife on this issue and she said 500 Baht per monk is enough. Your son will probably want to factor this into the wedding cost, especially if they are planning on having 7+ monks.A gift from yourself and your partner (if you have one) for the parents is a nice gesture. It isn't part of the tradition and you don't need to go overboard. Perhaps some treats or simple gifts from your hometown would be nice. Or perhaps ask your son if her family need anything practical yet relatively inexpensive for the home – often it is good to buy something they really need, if indeed they are a low income family.All the best. You got a good point, I totally agree. And more... what is a girl marring a Thai boy? She has to come up with so much money too? And what if a poor Thai boy from a not wealthy family wants to merry a Thai girl? How can a poor boy come up with thousands of dollars? If it was a foreign woman marrying a Thai man, the man would pay Sin Sod - unless they agreed not to have a Sin Sod, which some do. As for a poor Thai man marrying a Thai woman: you are right, it is a struggle for many to come up with the Sin Sod, and some do borrow money. But in Thailand people tend to marry someone of the same social status, so in this case the Sin Sod might only be 50-100k. In my opinion the tradition is outdated and often exploited, but like so many cultural rituals, regardless of how outdated they are, people hold onto them for the sake of tradition. What does he do if she divorces him six month's after the wedding? If Sinsod is say 300,000, they have acquired almost three years salary from your son. $800 on a phone is unthinkable for a villager, and $1400 on the ring? And now the monks want a cut too LOLAs I have said before, at some point you have to ask yourself if the family treat you like this on day one, is this really the kind of family you want to be part of?In my case, I will agree to no more than 200,000. 100K to be returned after the ceremony and I will pay that a couple of years later, when I am certain about everything. Any family not accepting this, is not showing consideration foreign man's side of the cultural exchange. It is a compromise, but he is the only one expected to take financial risk. Hello Thailand life, you have a great site here I find it very interesting. just reading about the dowry comments, yes for westerners the paying to marry does seem strange , but I think you need to see there side , there custom. I am getting married in late May this year, the monks picked the date. as I read month and is very important to thais. My wife to be is very educated been to university, has a good government job , unmarried and of cause a lovely beautiful person. Back to dowry I have agreed on a lot more than what I have read, I am an average joe.. so not rich. But as I said .a different custom , I have been told a little more because of the cost of her education and her position now. so my dowry is 1 million baht. YES.. a lot.. but if you believe she is the one and genuine....than WHY NOT So yes the fee is a sticking point.. is not just a money grab OH my brother has a thai wife , happily married about 6 years now , and roughly the same thing. Okay just my thoughts. If it suits you then go for it. I would not. If she is genuine then she will see your custom as well and possibly have her parents compromise on the total price. It always seems a bit one sided when dealing with Thais in just about everything from a European point of view. It's always their customs which have precedence etc..... I think it is just the foolish European outlook in that we are more adventurous and not concerned with saving face etc.... Just something to think about. I think it varies depending on circumstances. yes there are some manupulitive women who take advantage, also some that do not wish to take dowry. It also depends on the family status. Is it really much different to buying engagement rings ad wedding rings and paying for wedding in the west? 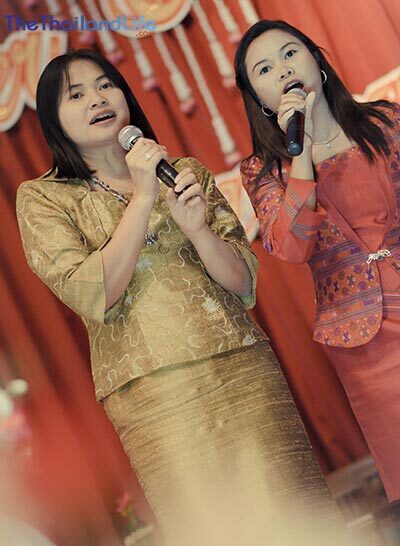 In my example I have been with my Thai Partner in UK for 5 years. She has worked hard in Uk for 14 years and paid for house for her mom. She bought land for her also. Her stepdad died earlier this year and we marry next year. Had we planned to stay in UK we would not have married. She did not want a big ceremony as she did not want to "spend" lots of my money. It was me that suggested the Thai Budhist ceremony. I am paying dowry of 100 000 baht as her mom is not wealthy and the money will be used to buy equipment to work the farm and some already used for the funeral ceremony. In the west and Thailand you can get good or bad, no stereotyping. Absolutely David. Different people act differently in different circumstances. 1 Million Baht? Was it what the parents (mother) of the bride said first, and you accepted? Keep in mind that negating is a big part of Thai culture.Ma wife has a Master degree and also works for the government. Her mother wanted 1,5 Million Baht from me! After negotiating I paid 500K plus gold to them with 100K payback to my wife, and the parents took completely care of the wedding. For me that sounded fair.Keep in mind in matters of sin sod that a poor farmer's daughter can expect no more than 80 - 100 K (plus gold), and sin sod in the 6 figures is usual only when marrying upper class woman like show stars or daughters of some high government official, or rich factory owner. Is there an average sinsod, for a woman, who is divorced, 37 with two kids. I see 100 to 300,000 bhat. Seams high to me. I need to know exactly whats correct , Im looking for the right information. Hi Ray, as you'll note from the post and the comments, there is no "right amount". There are cultural guidelines, which many feel are outdated in the modern day and somewhat offensive. People will always have an opinion on what your girlfriend is worth in terms of the Thai social hierarchy, but in my opinion, if a sinsod is expected, the rule should be to never pay more than you can afford to offer as a gift, and to come to a compromise with your GFs parents, or girlfriend if her parents are absent from the scene, that respects the fact that you don't have this tradition in your culture but are willing to appropriate it to a degree. In this situation I'd say 100k would be fine, plus some gold presented on the day, or at the engagement if you have a separate ceremony. 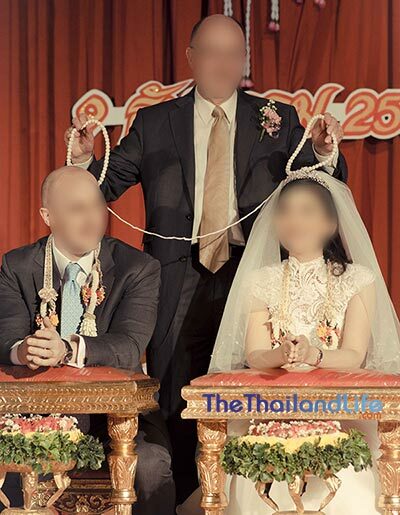 The parents of a married Thai woman already got sin sod once. Thai people would not pay sin sod for a divorced Thai woman - if they married her at all.You can do of cause. Maybe you ask their parents, and hear what they say as first offer. Personally I would not pay more than 100K THB for a divorced (or widowed) Thai lady. My wife to be is young, 24, never been married but has one son already and basic education. Her family is from Isaan but we met in BKK where she was working to support the family, We agreed on 200K plus gold. From what I have read all that you have mention are negatives for the Sin Sod. The age, divorce and kids. I'd probably shoot for 100-150K. However if you love her and she is right for you you don't want to seem cheap or ungrateful. Remember, as mentioned this is just for family face. The money is either returned or not used for its intended purpose anyway. I am a New Yorker, my girlfriend comes from a rather poor family. We intend on marrying and living in her small village in the NE of Thailand. She tells me that her ex-husband had given her family a 500,000 bath sin sod. That's an awfully high amount for the person who married her, and from what I was reading on the internet 200,000 would be an average amount for a single, high school graduate woman. Since she is divorced, and has a 4-year old child, I understand that she would get a lesser than average amount, after all, she received a large sin sod for her first marriage. I think she was hoping that I would agree to that high amount, and when I balked, she offered a 350,000 amount, still too high from my perspective. Also, I simply don't have that amount to immediately offer and I would have to save over about a 9-month period to be able to put together even a 200,000 amount. Am I being too stingy? I am getting her a $2000 engagement ring next month. Plus I have to fold in the cost of the wedding, the Khong Man gift of gold, and after marriage I would be immediately taking on the support of not only her, but her 4-month old child. She has a relatively low level government job and is hoping to go back to college to get her degree. I don't have savings to support that endeavor as well. What should I do? I hate to put a price on people, but in situations like these it is important to get some perspective. We were to go by the book on this one, you'd be looking at no more than 100k. Moreover, as I have said a number of times to others in the comments, it is not for your GF to dictate/ask for.First you should meet her parents. They have to agree the marriage. This would usually be done between your parents and hers, but in the absence of your parents you can negotiate the terms of the wedding. You will then agree the sin sod with her parents. You can make an offer and discuss it with them. As a high school graduate, a divorcee, with a child, from a poor family, if she were to marry a Thai man of her same class she would be looking at a sin sod of between 50-70k, probably. She is a government worker though, which suggests she has done quite well for herself considering her limited education. So it's possible it could be higher.All said and done though, if you want to offer more to help her family out that's a different matter and entirely up to you.What you might choose to do is have a very cheap wedding. Why not? Most do. You could then offer a bit more on the sin sod. But whatever you do make sure the money goes into something constructive; perhaps improving their house or a savings trust for her daughter.$2000 on an engagement ring sounds a lot. Thais aren't big on engagement rings; most don't have them. You'd be better off getting her a cheaper ring and a gold bracelet or something instead.For a full run-down on the ins-and-outs of sin sod, check out this post. Take a more modern outlook on things. Ask her if she really loves you and what is the most important thing. Noting she has a child and has already been married. Once people get the feel for money between their fingers they always want more. I would be careful and also put you paying for the child into the picture long term. It would also depend on the type of person you are. Easily lead or with your own mind. It's your future. Personally I don't think you should have to pay sin sod as her being "second hand" in Thai culture means she's got little chance of finding a caring well off Thai husband. This might sound a bit harsh but it's the reality. If I were you I would let it be if she or her family aren't very understanding. My Thai wife would say the same as me and she is from a very rural area in the North. Is your partner Thai? If so, the ceremony could take the best part of a day depending on what he/his family want. For example, his family may invite monks to the house in the morning for a blessing, and may hold the engagement ceremony in the morning and the wedding in the afternoon.If you are a British couple marrying in Thailand, then it's up to you to discuss this with the company you use to arrange the wedding and decide on whether you want to add elements of a traditional Thai wedding to your ceremony. Generally, the actual ceremony (Thai) lasts 2-3 hours. I've been to quicker and longer. It just depends on the expectations of the families involved, the traditions adhered to and how many people attend.The western weddings held in Thailand take around 30 minutes, again depending on requirements. But it's more like 2 hours with the waiting for people to be seated and the walking in of the bride, vows, and whatever other additions people decide on. Hi julie, i will get married with a thai woman on March 26th 2017. Our wedding starts at 7 am with monks but the whole ceremony will end at 1pm. We wont have like a reception afterwards. Michael, my wife to be has a child already and i agreed a dowry of 300,000. But also because she had more than 100,000 in debt, which i will come to pay for. Her next step will be for her to emigrate to The Netherlands where I will provide for her and her daughter. You never know when she will find a job. A wedding whether thai or not is a one time thing. It is not smart pouring all your money into it, since you need that for a stable life there after. Im looking very much forward now to the traditional thai wedding which organises at her own house. I have another question for you, not really about the ceremony or anything.My girlfriend and I recently set the date for our wedding to be December 8th 2016. I was excited and so was she. Unfortunately my job situation will be changing in the next month and it would not allow me to take the requisite vacation time in December for the wedding.Do you happen to know if a date change in a Thai wedding is a big deal and if it will affect anything? It depends on two things:1. Was the date chosen by the local monks as a lucky day? If so, your mother-in-law will have to go back and get them to give you a new date.2. Have you given out invitations, booked a venue, etc? If so, will be problematic. If it's an at home - come all whenever you like- doo, no worries. We did book a venue already and I am prepared to lose what money we put down already, it won't be a big deal with the income from my new job.I am not sure if the mother-in-law went to the monks, I know my girlfriend/fiancé called her mother to get a good date.From what was told to me it seemed like she was just more upset because she'd already planned everything. Just to let everyone know, my girlfriend and I broke up. She wanted to me to cover all expenses while she covered nothing. I had trouble seeing the red flags (millions of sinsod, me paying all the bills, etc.) but thankfully my parents and brother helped me to realize the truth. Your blog was a big help and I thank you for your responses it helped a lot. Next time if I end up with a Thai girlfriend I will know what to do and hopefully she will not be after my wallet. Again thanks for all your help. Sorry to hear that Gregory. Don't give up though. It was something I questioned as well with my fiancé. Sometimes it's the way of the world. I've got faith you'll find yourself another woman in the future that will meet all your dreams. This was extremely informative for someone who had very little knowledge of the entire process. I'm extremely nervous for my own wedding come December. I also won't have many of my own family present due to financial constraints, most likely just my aunt and uncle. So I'm extremely nervous about everything.I'm still confused slightly on the groom's procession. From what I understand it is money of varying amounts in envelopes, but that's where I'm hazy. I don't know how much to include in the envelopes.Also, what sort of Thai should I brush up on to understand things? Hey Matthew, when I got married we gave envelopes to the kids (niece, and a couple of cousins) just to get them involved. I think I gave one to my wife's sister too. So they create a gate, to go through the gate you have to give them the envelope. I think I put 100 Baht in each envelope for the kids (4 kids or so), and 500 Baht for my wife's sister. At some weddings you get extended family and other hangers on trying to get in on the envelope action, but my wife decided that it should just be a treat for the kids and her one sister.In terms of speaking Thai, just go for the basic niceties:Hello, nice to meet you. Thank you for coming. Are you enjoying yourself? You look prettily dressed today (for the women) Is the food good?I didn't know half the people at my wedding, so mostly I just went around to each table and introduced myself, asked if they needed anything, thanked them for coming and took the obligatory picture. Just smile and at least look like you're enjoying it ...haha! I talked with her a few times yesterday about everything and she gave me a couple different answers about the groom's procession. So I'm still not entirely sure that I will actually be doing it or if it will be set aside. She did inform me that I will be presenting the sinsod to the family the day of the wedding, so that's no longer a mystery. I know we will be going to the temple the morning of instead of inviting the monks to where we are staying to bless the marriage.Thanks again though, your article has been extremely informative for me. Especially since I knew very very little about Thai weddings in general. We'll be doing it in Loei and her family is form up north so I expected it to be more traditional. I looked up Thai-Chinese and it said that they do usually own a business. Since her parents are Chinese, my girlfriend does cannot go to public school so she has to go to international school meaning the parents pay for this, they also pay for her to go to school here at USF and UT. Being a foreigner she cannot get financial aid. Is it custom in thailand for the man to take care of the expenses on his own or is his wife supposed to help. She wants to send money home but I want to know if she is just trying to get me to pay for everything or is she just trying to care of her parents. When my mom and dad wed they put their incomes into a joint account. Is something they do in Thailand? I really love this girl but need to make sure she is not scamming me. Thanks in advance for your help. It is true that Thai-Chinese usually own businesses, but in terms of what you said about Sin Sod I don't know of this specific tradition. It is custom in Thailand for the man to take care of his wife financially, but quite often you will see husband and wife working together in a business, particularly in the Thai-Chinese community.I don't know the family personally so it is impossible for me to judge. But in my experience wealthy families don't take money from their kids in the same way working class families do. One thing is for sure though: they will want to know that the guy their daughter is marrying is capable of taking care of their daughter financially for life, and part of proving this is being able to pay sin sod, provide her with a nice house, car, etc. My Thai girlfriend wants me to handle our expenses while she sends money to her parents for their retirement. She said Social Security does not pay enough.Her story about the sin sot being in the millions is because her parents are Chinese and settle in Thailand so she cannot go to public school. She also says her parents send her to another school that has classes on the weekend to help her get into the better universities. On sin sod. She says that in the middle class the sin sod is paid on the wedding day the after that half is given to the groom and half is given to bride. The groom will use his half to start a business while the bride will use her half to send payments to per parents while business is getting started. She says the parents spend nearly all their money on their kids education that they have little for retirement so they rely on their children to send them money.My girlfriend says that the man is to pledge to take care of the expenses while she takes care of the parents. I am not sure if this is true or not so I ask you for advice. She also says for middle class the sin sot is around 4 - 8 million Baht. I've not heard of sin sod being used to send payments to the parents while the husband sets up a business, but there are different interpretations as to what the money is/should be used for. Some parents give it back, others keep it in case the daughter separates from her husband and requires financial support, some show a lot, keep a bit and give the rest back, some use the money to build their daughter and new husband a home.What I would say is that a middle class family certainly wouldn't need the support of their daughter, before or after marriage. The daughter would be largely supported by her parents until she married into a family of equal (most likely more) wealth than her family, at which point her husband would take over her financial support. 4-8 million Baht would represent the daughter of a wealthy family who probably studied internationally. Just to add 2 ct:There is a tradition of sin sod in both Thailand and China. But that is meant as some sort of retirement money for the parents, and there it goes to!I think the amount is too high.Maybe you want to go to the parents first and ask THEM! Well done. Very informative. 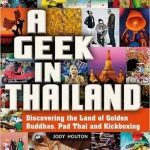 This gives me an idea on what to expect if I marry my Thai girlfriend in Thailand. Still not sure whether the ceremony will be here or there. No more talk of sin sod after I explained what I could afford. I'll just take it one day at a time. Thanks Gregory. Glad you found it useful. Very interesting and useful read. I have question about bureaucracy of marriage. Is marriage officially registered during ceremony or is it done separately somewhere else? Is there any legal document made about couple's new status and who/when provides it? It's done at a local district office. It is not done during the ceremony. Unless you are getting married with a wedding company who arrange for a registrar to be at the ceremony. Could you tell me what is expected of the grooms parents who are western? Our son is having their wedding celebration in October at the brides parents house in Chang Mai. Any information would be greatly appreciated. Hi Gloria, nothing is expected, really. I would just take a few gifts for her parents. I'm not sure where you're from, but assuming her parents haven't travelled to your country before, perhaps some souvenirs/traditional things from your country would be good. How about a brand name perfume? This is a luxury item that costs more in Thailand than the west, so it will be greatly received as a nice gift for the mum (and sister). Perhaps a nice t-shirt for the Dad. Depending on their level of wealth, you could also wait until you get out there and identify something they might need for the home and ask your son to ask his wife (to be) if that would be an appropriate present. Perhaps they could do with a new microwave, fan, some nice plates and bowls, or what have you. Just be smiley and join in with the festivities and they'll love you, I'm sure. Oh, and one tip, check if the house has air con or not. If not, wear very light, cool clothes on the day, as it could be baking! Very interesting account of events. But a few observations... 1) There was no mention of any vows being recited - or anyone saying 'I do' (or Thai equivalent). 2) There was no mention of a ring. 3) There was no mention of an official pronouncing the couple married.Do any of these things come into play in this ceremony, or would that be part of a separate ceremony? I notice the picture of your wife's hand in step 12 showing two rings; when were these placed?Is the amount of the Sin Sod kept private or is it announced?